Building a solid foundation, with a love of learning and a passion for God. 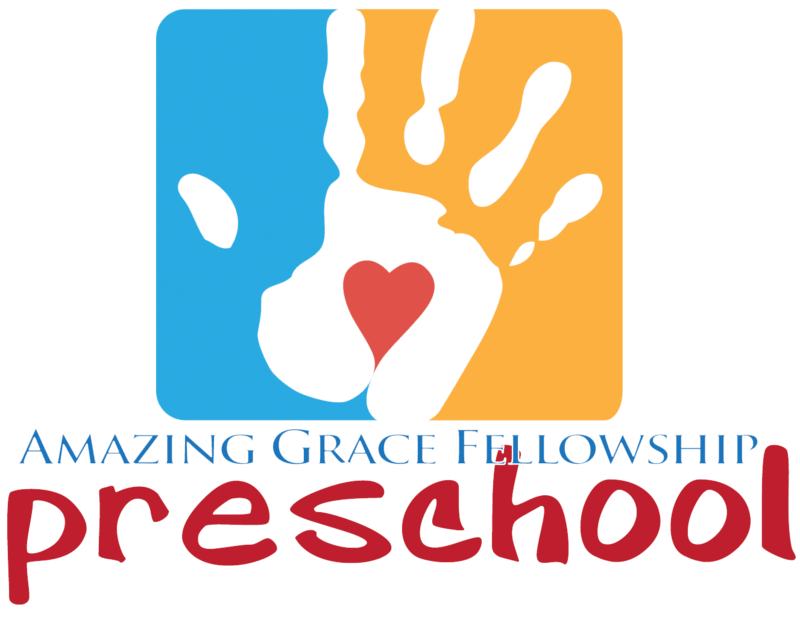 Amazing Grace Fellowship Preschool was established by Amazing Grace Fellowship to provide high quality preschool services at a reasonable cost for the citizens of our community. The Board intends that Christian values and attitudes be taught through word, thought and deed, along with the academic and developmental curriculum. Believing children are a heritage from the Lord, we strive to provide children with a wholesome, loving and stimulating environment wherein they may begin their educational process in a Christian environment. We want your child’s preschool experience to be a happy one and the classroom a place where he/she and you, can feel secure as we grow and learn together. Each classroom is directed by a loving teacher. Additional assistance is used as needed. Communication between parents and the teacher is important ~ we encourage notes, phone calls and visits. Apply TODAY! (CLICK HERE) to download the application!